Paul has been busy putting his own stamp on the music industry as a performer, producer, audio engineer and record label owner. 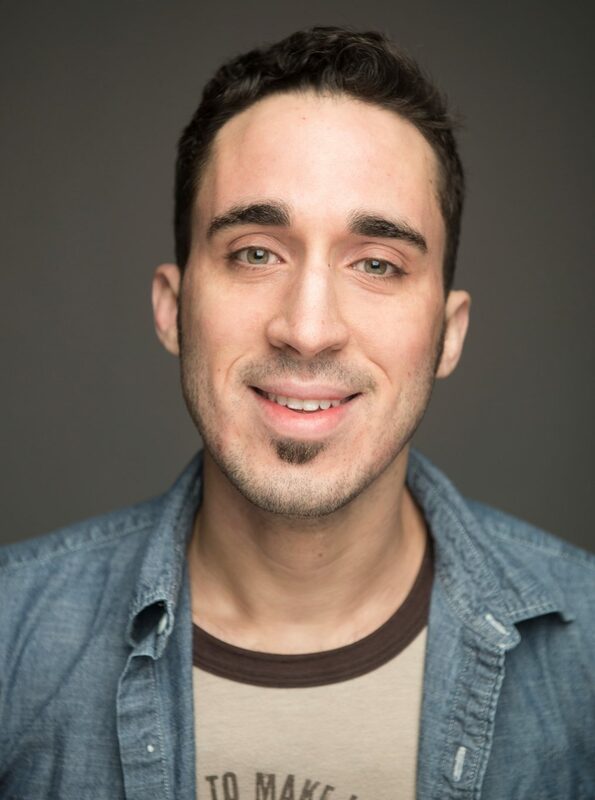 Tapping into his extraordinary musical talents and the practical skills gained through a liberal arts education, Paul used his understanding of the complex nature of the music world to build a successful career path. Paul Niehaus IV got bit by the music bug early on in life. It started with the little plastic recorder so many of us remember from music class in elementary school. That sowed the seeds for his interest in music, and he went on to master the guitar, bass, keyboards, and drums. His musical repertoire also includes the harmonica, mandolin, French horn, trumpet and saxophone. Ever since he picked up his first instrument in the fourth grade, Niehaus has been pursuing his passion doing what he enjoys most ― making people happy through music. One of Niehaus’ earliest musical heroes was B.B. King. “When I heard his album ‘Live at the Regal,’ I decided to learn the guitar because the expression it had was so extreme and emotional,” says Niehaus. When he started learning about producing, Oliver Sain, who was Saint Louis’ patriarch of recording and producing soul, blues, and R&B, had a huge influence on Niehaus. Another idol is Willie Mitchell, the producer/engineer behind Hi Records, the Memphis soul label most famous for producing Al Green. That soul sound, developed in places like Memphis, Muscle Shoals, Detroit, and more, became a sonic obsession to Niehaus. Niehaus came to Truman State University to develop his mastery of music theory and to strengthen his musical abilities earning a bachelor of arts in music in 2009. Intrigued by the connection between storytelling and blues music, he also pursued a minor in folklore. Fresh out of college, his first job was a five-month stint playing guitar on a cruise ship. After that, he toured with Rockin’ Jake, then with Matt Hill, and ultimately with John Nemeth playing in 45 states in about four years. Eventually Niehaus began exploring new opportunities that led to working more and more on recording, producing, and engineering. “After a certain amount of time practicing the art, I became competent and confident I could offer value to artists looking to record, collaborate, and be creative, so I started seeking out more work of a wider variety,” says Niehaus. 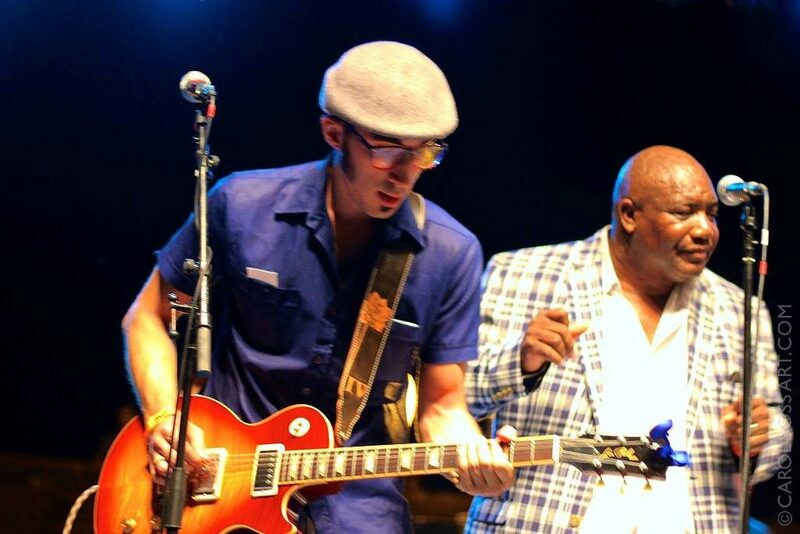 Paul Niehaus IV (left) performing at the Big Muddy Blues Festival in St. Louis along with Gene Jackson, one of the artists on the Blue Lotus Recordings record label. After years of doing recording for fun with friends, Niehaus took the plunge launching his own recording studio and record label named Blue Lotus Recordings. Located in St. Louis, Blue Lotus Recordings focuses on roots music, like soul, blues, and folk music. The name came about from one of Niehaus’ mentors who suggested “lotus” because of its connotations in Eastern philosophy where it represents beauty springing forth from murky origins and “blue” because Niehaus does a lot of blues and blues-influenced music. Since its start, Blue Lotus Recordings has had three releases, two of which were nominated for Blues Blast Music Awards. Presented by Blues Blast magazine, these awards honor contemporary blues artists and their recordings. “Having the first two releases on my label both receive nominations in the Blues Blast Awards was a big honor because it legitimized what we were doing,” says Niehaus. Niehaus also serves on the Board of Directors for the St. Louis Blues Society which produces an annual compilation album. Niehaus has produced three compilations for the group called 15 in 15, 16 in 16, and 17 in 17 which landed at the top of the charts for KDHX, St. Louis’ independent music station. He plans to continue the project until retiring it in 2020 with 20 in 20. Most important to him is writing and producing quality records so he can give a voice to supremely talented individuals who haven’t had a break yet in their careers. A lifelong learner, Niehaus plans to continue learning more skills to bring exponential growth to his business and brand. Check out Niehaus’ website at bluelotusrecordings.com.